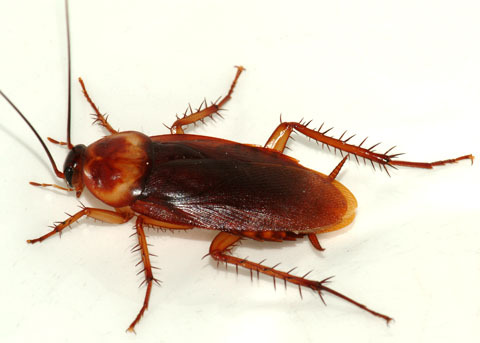 A recent survey indicated that the cockroach was the most despised creature, beating out snakes, rats, bats, and spiders. They have pathogens or bacteria on their bodies, but none have been known to be transmitted to humans. Their mouths are used for chewing, not biting. Most roaches are nocturnal, that is, they prefer the night and are sensitive to all forms of light except for the red spectrum. They are most active right after dusk and right before dawn. They seem to appear according to a biological clock. This activity may be a response to a genetic defense because light may indicate the presence of humans, their most dangerous predator. They prefer to live in warm, moist places and are more abundant in tropical areas. However, they can live in almost any environment and they have been found in the North and South Poles. Cockroaches are thought to be about 350 million years old, making them one of the oldest surviving creatures. They have been able to survive because of their rapid reproductive cycles and adaptability to poisons, environments, and even nuclear bombs. One of the largest is the Madagascar hissing cockroach, which has become a popular pet. Another large roach is Megaloblatta blaberoides, a resident of Central and South America. It has been measured at about 100mm long. Some roaches can fly and one has been measured to have a wing span of about one foot. Although they live in proximity to each other in crevices or harbingers, they are not social insects such as the bee, termite, or the ant. This need to keep in touch with their surroundings is called thigmotaxis. Their immunity extends to poisons, and they are known to survive decapitation. This is possible because they have two nerve centers-one in the head, the other in the tail. The only way it would eventually die would be from dehydration. They can do without food for over one month, but they need water at least once a week. They will feed on all foods, grease, paint, wallpaper paste, and even bookbinding. The female will have up to forty babies at one time. Some species will mate only once and they will remain pregnant for the rest of their lives. Adults will live for an average of eight to fifteen months. Cockroaches reproduce on an average of four times per year. Females have a broader abdomen and are more rounded than the male. This constant reproduction adds to their ability to become immune to environment changes or pesticides. The basic structure of the cockroach has, however, remained the same since the middle of the Silurian period almost 365 million years ago. The life cycle of the cockroach is from egg-nymph-adult. This cycle is called simple metamorphosis. It means that the younger nymphs look very similar to the adult and will only differ in size. The German cockroach is 5/8 inches in length and is brown in color. There are two prominent black stripes running down the broad shield behind the head. Food: This nasty little guy will eat almost anything – even hair and fingernails. 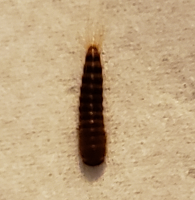 This insect is common in areas with access to food and water. Life cycle: The life cycle from egg to adult takes about a month, and populations can become huge if not kept under control. 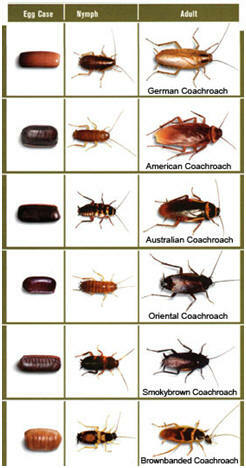 Identification: The American cockroach is the largest of the common periodomestic cockroaches. 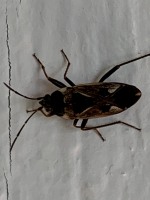 It is also known as the Palmetto bug or water bug. As an adult, they are dark red/mahogany in color, with a yellowish border on the pronotum. This yellowish border may make the pronotum appear to have two spots in the middle. The body is typically one and one quarter inches in length. Inspection: This cockroach is attracted to high humidity and high temperatures. They are often found in places that are consistently 90 degrees Fahrenheit and 100 percent humidity. Such areas exist in sewers, steam heating lines, pool houses, and inside food processing plants. Water leaking into ceiling voids or wall voids that are warm can also harbor large numbers. One should also look for forgotten floor drains or gaps that could lead to a main harborage. Careful monitor placement would be beneficial in finding any hidden areas. Control: The initial step in control is to seal off or screen openings from the outside. Harborages and breeding sites can be treated with dust insecticides in many cases, depending on label restrictions. Many types of bait on the market could also be used if dust is not appropriate, or both could be used. Most bait on the market is very effective at killing these cockroaches. 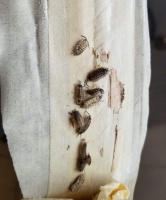 The problem is that they are voracious eaters and will eat much more than a lethal dose of the bait, and not leave any for other cockroaches to eat. Therefore, a large amount of bait is necessary. 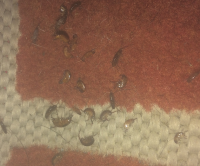 On occasion, particularly in warmer climates, these cockroaches will invade wall voids and ceiling voids to live and breed. Such locations are best treated by injecting the void with an appropriate insecticide after consulting the label. These voids may also need to be opened to completely eliminate the infestation. Lastly, exterior baits can have a significant impact on populations and perimeter sprays with pyrethroids can also be used to drive/repel American cockroaches from doorways or sensitive areas. The cockroach has been around for about 350 million years! It is known to be a highly adaptable insect, able to withstand radiation in excess of what man can tolerate, and requires very little food to survive. In fact, several roaches may subsist on a thin layer of grease for months! Cockroaches prefer starchy food, but will eat anything organic,including wood, shoes, paper, glue, soap, even eyelashes. This,of course, intensifies the need for proper sanitation, especially in food establishments. Ø Good sanitation is the best cockroach control. Thorough and frequent cleaning, and organizing are essential. Ø Clean up spills immediately, especially in dark or dimly lit areas. All waste food scraps and particles should be disposed of promptly; don’t allow scraps or crumbs to accumulate anywhere. Make sure dirty dishes don’t sit overnight. Ø Store foods and other items off the floor and keep all packages and containers tightly wrapped and covered. Ø Carefully inspect all boxes, crates and bags that are brought into the home or food service establishment. Ø Eliminate clutter and an accumulation of empty boxes, containers, and boards. Separate items stored in drawers, cabinets and storage areas. Rotating goods often will eliminate harborage and discourage breeding. Ø Keep basements and storage areas dry, clean, ventilated and well-lit. Remove any standing water, repair leaking pipes, and keep floor drains clean and free-flowing. Use dehumidifiers to remove moisture. Prevent an accumulation of liquids on any surfaces. Ø Keep employee dressing rooms and dirty laundry storage areas clean to prevent cross infestation by employees. Ø Check plants and plantings for harborage and infestation. Remove all logs, or tree stumps used for decoration. 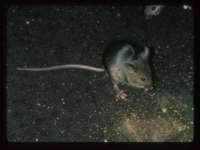 Ø Once a cockroach infestation occurs, it generally requires the use of a pesticide. However, pesticides are poisonous—never treat surfaces used for food preparation. Keep them away from children, and store them away from food. 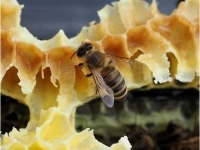 Ø The expertise and effectiveness of a qualified Pest Control Operator is advised. But be sure the company you deal with is experienced, licensed, and insured for the job. Click ads to visit web sites.